Language in general has always intrigued me. On top of that, my father is a teacher of English, which resulted in my being surrounded by English books, radio and television for as long as I can remember. It is no surprise then that I specifically love the English language. In 2005, I attained my Master’s degree in English Language and Literature at the Radboud University Nijmegen. Teaching suited me, and I enjoyed teaching at a grammar school for one school term, after which I got the opportunity to fulfil a long-cherished dream: studying music at the Conservatory of Amsterdam, main subject panflute. At this internationally oriented institute English is the main language among students and in classes. The didactic subjects gave me more insight into my role as a teacher, both for music and English. During my time in Amsterdam I taught preparatory exam courses for the Stichting Studiebegeleiding Leiden. This combination of studies and my different work experiences led to my specializations in education, art and music. As a teacher I prefer to work with smaller groups and individual students, enabling me to give each student the attention they need and deserve when dealing with a subject they have difficulty with or really love. Time and again, I find this approach successful for both music education and language tutoring. 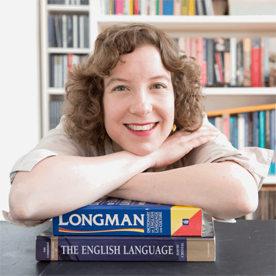 Information about my work concerning the English language can be found on this website. If you would like to know more about me as a musician and music teacher, please go to www.panfluitpraktijk.nl.